We can't get enough of these winter ensembles. Cozy, warm and put together, this look can carry you through the season. This babe wore all black in the chicest way. 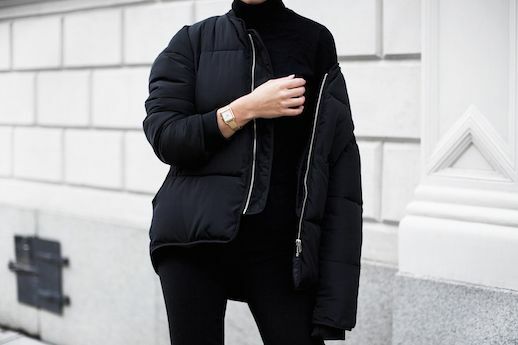 She tossed a padded bomber jacket over a simple turtleneck, added ankle-grazing trousers and heeled booties to complete this perfect look. Thought all black was boring? Think again.